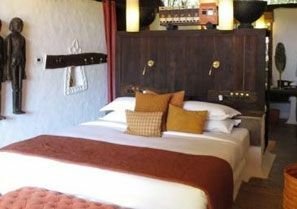 Exploring and understanding the exotic and rich wildlife of India is one of the most cherishing and exciting experiences in the country and what better way to do the same than on the back of an elephant. Elephant safari in India are by and large is one of the best ways to experience the incredible flora and fauna of the nation. 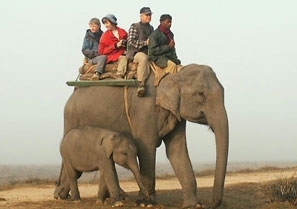 One of the main attractions in any national park or wildlife sanctuary where they are available, elephant safaris in India are especially popular with the children and young adults for whom riding on the back of these mighty beasts is a unique adventure in itself. Besides, backs of the elephants on any elephant safari furnish a wonderful vantage point to observe wild and dangerous animals like lions, tigers, jackals, crocodiles etc., from a safe distance, in addition to giving a wider view of other wildlife and lush vegetation of the park. 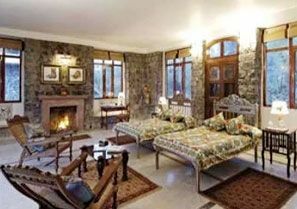 Elephant Safaris in India are organized in Bandhavgarh National Park, Kanha National Park, Kaziranga National Park, Periyar National Park and Corbett National Park. In addition to proving an excellent vehicle in jungle and raw settings, elephants are also a great means to access those corners of the national park or sanctuary which are otherwise inaccessible by road. 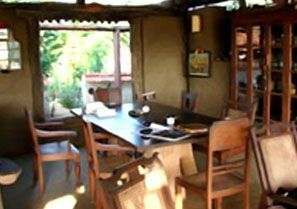 Thus, Elephant Safaris in India take your experience of exploring the national park to a whole new level. One of the most exciting places for wildlife enthusiasts, Bandhavgarh National Park is encircled by cliffs & forested Vindhyan Mountains and enriched with animal species such as Nilgai, Chital, Fox, Wild Boar, Jackal and Chinkara. 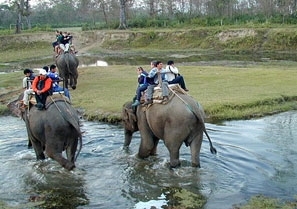 The national park offers elephant safari for tiger tracking early in the morning. Explore the wildlife of Kanha National Park from the elephant back to get close to the nature and natives of this wildlife sanctuary. 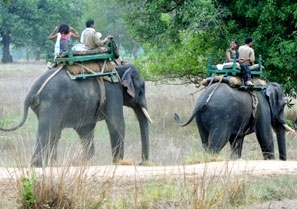 Elephant safari in Kanha is your best bet to sight tigers from close quarters. 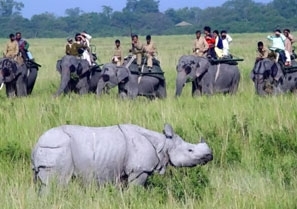 Nestled in the far North-East of India and covers an area of 430 square kilometers, Kaziranga National Park houses a rich wildlife that offers a chance to nature enthusiasts to closely observe wild animals. With Elephant Safari, tourists can enjoy watching elephants roaming around and Indian Rhinoceros passing by. Nestled in the South Indian state of Kerala, Periyar National Park sprawls over an area of 777 square kilometers. An elephant safari allows you to delve deeper into the jungle and get a close view of the exotic wildlife without disturbing the animals.